The days of fighting with stencils, paint, and a mess in an attempt to add elegance to your décor are over! Rather than spending hours or even all day attempting to perfectly paint that ivy, damask, scroll work, etc on your walls you can now only spend minutes. With removable wall decals that are precut you can decorate your wall, cabinets, furniture, and more in just minutes. And the best part is, if you don’t get it exactly the way you like it...simply peel it off and reapply. No sticky residue is left behind and certainly no repainting! These high quality decals are an easy and affordable way to create a beautiful focal point to your room. These peel and stick wall appliqués will go on any smooth flat dry surface so you can even decorate furniture, doors, windows, floors, tables, and more. Want to add a taste of country décor? Be sure to check out our Country Stars and Berries, Country Signs, and even our Coffee Cup Chalkboard Decal that will make you smile. Add Tree Branches, Cherry Blossom, Bamboo, or Multi Branches decals which will certainly be the centerpiece of your room. When you’re finished with them, simply reapply them to the original liner sheet and they can be reused in another room at a later date or even given to someone else to decorate a room. The fact that these appliqués are so easy to use, make them great for renters whose landlords don’t want them painting the walls with stencils or creating painted on murals, or even putting holes in the walls to hang decor. Would you like to spice up your surroundings with a motivational and inspirational quote? With sayings like “Always Kiss Me Goodnight,” “Live Well, Laugh Often, Love Much,” and “There’s No Place Like Home” you can add sentiment and personality by simply peeling and sticking. These peel and stick decals are not recommended for delicate surfaces such as textured or wallpapered surfaces so be sure to “stick” with smooth, flat, and nonporous when decorating. 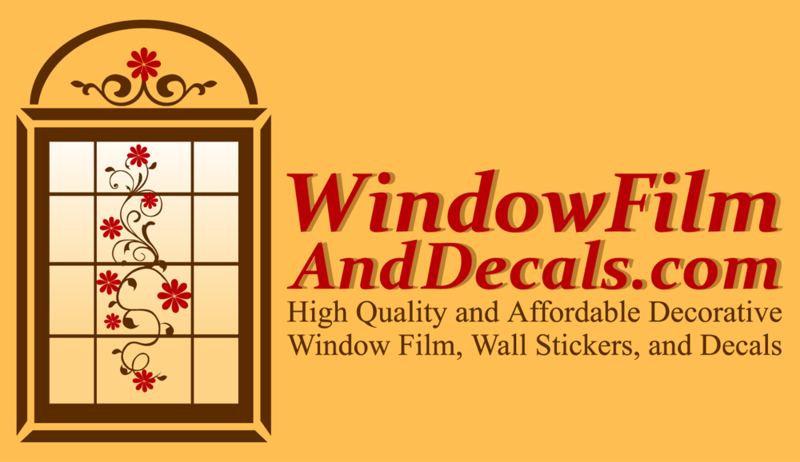 With our wide variety of beautiful deco wall decals and quotable appliqués at WindowFilmAndDecals.Com you can be sure to have the neighbors talking about your wonderful decorating style. You will not be disappointed with the ease and affordability of vinyl peel and stick wall decals!